Antonin Artaud's theatre of cruelty is one of the most vital forces in world theatre, yet the concept is one of the most frequently misunderstood. 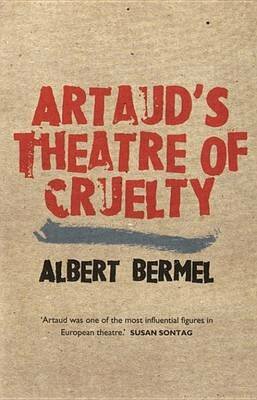 In this incisive study, Albert Bermel looks closely at Artaud's work as a playwright, director, actor, designer, producer and critic, and provides a fresh insight into his ideas, innovations and, above all, his writings. Tracing the theatre of cruelty's origins in earlier dramatic conventions, tribal rituals of cleansing, transfiguration and exaltation, and in related arts such as film and dance, Bermel examines each of Artaud's six plays for form and meaning, as well as surveying the application of Artaud's theories and techniques to the international theatre of recent years.